With summer in full swing, bites and beverages for the beach are a necessity for those long hot days.  We paired some of our favorite food combos with Fair Harbor swimsuits that have a similar style. If you missed our Instagram stories, check out the full list below. For the person who just had a long work week, or is ready for a vacation and is going to the beach to relax, we have the perfect combination for you. Ladies put on your Milky Blue Stripe Bayview One Piece and guys change into your Blue One Short. Grab your beach chair, crunch on some salty Kettle Chips and sip on a Cisco Brew to clench your thirst. You will finally be able to take a breath and enjoy the people and scenery around you for the first time in a while. Going to dinner will be a breeze -- throw on some cut off denim shorts over your Bayview or collared shirt with your One Shorts and you’re good to go. Feeling like you want to stand out in the crowd today? Go to beach wearing you Rose Gold Champlain Bikini or Driftwood Trunk and get ready for a great day. We match this lifestyle swim combination with a homemade Beet Hummus and added some sliced veggies for the side. This recipe from Tatsy.com is super easy to make and great for sharing with a big group at the beach. This beach bite also goes so nicely with a can of some Hard Cider to end your day. For the active person who is looking to go to the beach for a morning flow or afternoon paddle, we have the perfect pairing that will keep you going all day long. The Navy Hydrangea Saltaire is supportive for any activity on the beach or in the water, and the Turbulence Rockaway Boardshort has a four way stretch that is ready for all types of endurance. After your paddle or sprint indulge in some homemade energy balls, and take a big gulp of water from your Fair Harbor Water Bottle before you start your next adventure.